Before serving, remove cinnamon sticks and cloves. Keep on WARM while serving. 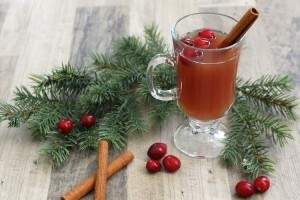 Garnish with a cinnamon stick, fresh cranberries and a slice of apple.